Selective logging again Eli.Of course this is a well documentated phenomena from 3 dissipative process"s.
a. Everyone knows that there are about 10^3 ions/cm3 in the troposphere. b. Everyone knows that most of these come from cosmic rays. c. What Svensmark has NOT established is that that ion concentration is the limiting factor in creating aerosols in the troposphere. d. The Mexico study shows directly that they are not. Other than that, if you want me to read something, provide a useful reference. So, I'm obsessive. Brasseur and Solomon was easy, since I am familiar with the authors. Only thing is that it is a book on the upper atmosphere, not the troposphere. Svensmark et al were specifically talking about the troposphere. Other than a few orders of magnitude different pressure, more UV and VUV, lots less water vapor and SO2 and NO2 and so on, what's the difference you ask? Precipitation of protons and electrons from the magnetosphere during geomagnetic activity.ie stratospheric-troposheric coupling. observations provide evidence for the effect (Harrison and Aplin, 2001; Eichkorn et al., 2002; Laakso et al., 2004). Would it be too much to ask for the journals these articles were published in? Or do you want to play hide and seek. BTW, the issue is how much of the total nucleation is limited by the supply of ions. If some other factor, such as SO2 is the limiting factor and there are plenty of ions, then cosmic ray ionization in the atmosphere is not very important. 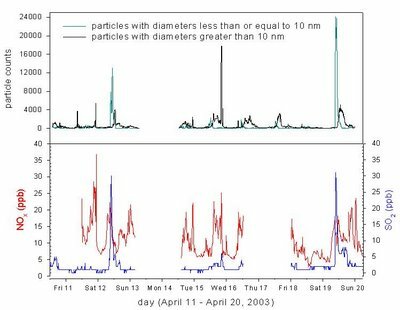 If there are a lot more aerosols formed by other mechanisms (dust, whatever) that act as cloud nucleation sites, then cosmic ray ionization is not very important. The Svensmark, et al. paper dealt with none of these issues. As you yourself point out by implication, the study added nothing new and the press release was overblown. And what about the ionosphere and its interplay? "The Global Scale Wave Model indicated the tides should dump their energy, released when water condenses into clouds, about 62 to 75 miles above the Earth in the E-layer. This is high enough to disrupt the plasma currents there, altering the electric fields and creating dense, bright zones in the plasma bands above. "The single pair of bright zones over the Pacific Ocean that is not associated with strong thunderstorm activity shows the disruption is propagating around the Earth, making this the first global effect on space weather from surface weather that's been identified," said Immel. "We now know that accurate predictions of ionospheric disturbances have to incorporate this effect from tropical weather." "...a new NASA-funded study looking at some of the world's dustiest areas shows that heavy downpours can eventually lead to more dust being released into the atmosphere. "..."Tiny dust particles have a significant influence on climate and weather patterns around the world by reflecting and absorbing sunlight and by serving as a nucleus or surface for water vapor, so that clouds can grow and form precipitation."... "This study highlights the importance of soil characteristics in dust emission and shows their influence to be more prevalent than previously believed," said Zender. "..."The study was published online in July 2005 in the Journal of Geophysical Research-Atmospheres." “… cosmic rays. These high-energy particles originate in outer space and in solar flares, and can have a small but significant effect on the weather, increasing the chances of an overcast day by nearly 20 per cent. Giles Harrison and David Stephenson from the University of Reading, UK, examined 50 years of solar radiation measurements from sites all over the country, enabling them to calculate daily changes in cloudiness. 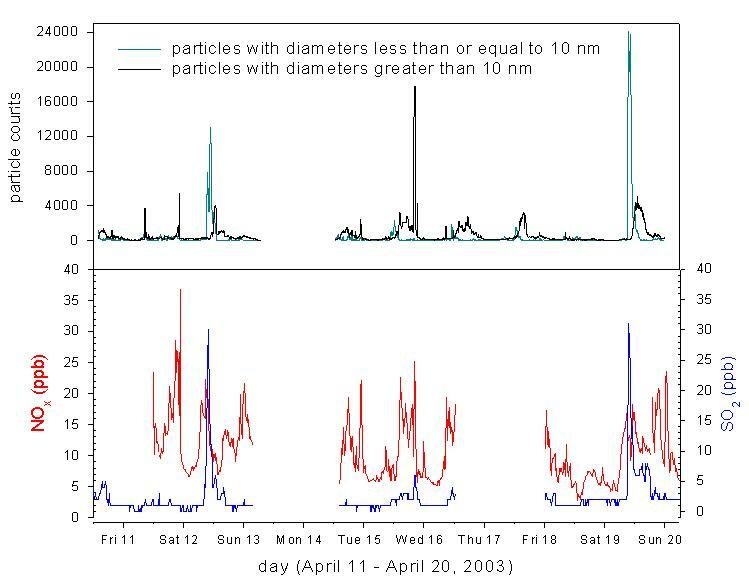 By comparing this data with neutron counts - a measure of cosmic ray activity - for the same period, the scientists have shown an unambiguous link between cosmic rays and clouds (Proceedings of the Royal Society A, DOI: 10.1098/rspa.2005.1628). You mean to tell me that the advance report, or news release, did not actually match the science, or real substance behind the reported claims? How on earth could such a thing happen? Oh, the irony of such a charge. "Svensmark and co. attempt to rescue their cosmic ray forcing model in a paper published..."
I cannot imagine a more bigoted introduction.